To ensure our horses live long, healthy, and happy lives, it is best to become familiar with some of the common ailments that can affect them. 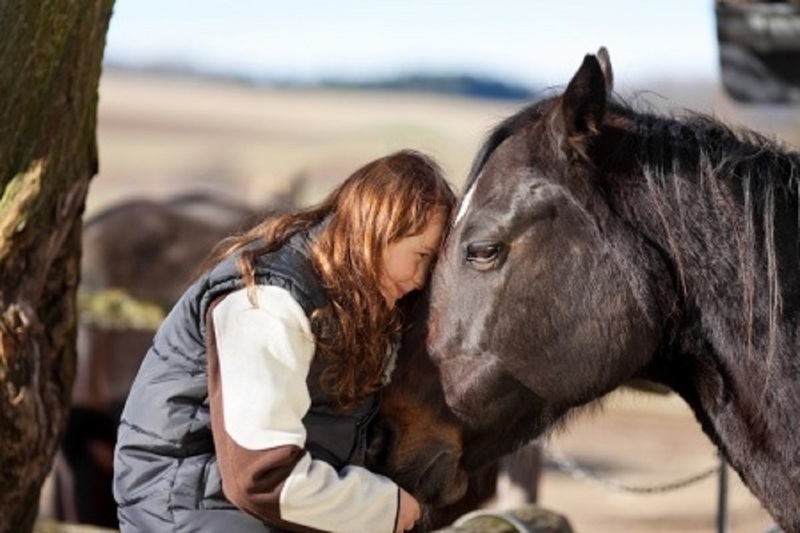 In addition to common health problems, you should also find a local equine vet after you get your horse. Follow his or her advice on deworming and vaccinations, but also take into consideration that some health problems may be more prevalent in certain areas and that some of your horse’s health concerns require special attention to provide the best care. Laminitis is an inflammation of certain internal tissues within the hoof, specifically those that bind the hoof wall to the (unfortunately named) coffin bone. The discomfort from the condition can cause lameness to the point that the horse may lie down to relieve pain, and their hoof may feel hot to the touch from the inflammation. Laminitis most commonly occurs if a horse eats too much grain, but it can also be caused by untreated infections, working on hard ground (like asphalt), a reaction to drugs, or a reaction to herbicides and fertilizers. Horses, like other outdoor animals, are exposed to parasites and a wide range of parasitic organisms. Ticks, lice, pinworms, tapeworms, roundworms, and lungworms are all a concern for horses. Internal and external parasites can be controlled through deworming, but most external parasites need to watched for. To reduce a horse’s exposure, remove manure from stalls frequently. Rotating pastures regularly may help as well. It’s impossible to remove all parasites, but try to reduce them as much as possible. An abscess is an infectious pocket in the body, usually the hoof for horses. This can occur after a foreign object, such as a sharp stone or a nail, penetrates the hoof. If your horse has an abscess, he or she may avoid pressure on that hoof. Veterinarians can open and drain the abscess. After treatment, follow up with medication, soaking, or any other methods that ensure recovery. To treat smaller wounds like cuts, abrasions, or even abscesses, flush and clean the wound with clean, sterile fluid without pushing debris back into the injury. If the horse is lame, support the opposite limb to help him or her keep balance. Try a solution of diluted betadine or Nolvasan or a mild liniment, like Absorbine, to help clean the area if you’re dealing with an abrasion. Don’t scrub or rub these areas too roughly as you could increase damage. If you suspect your horse has a puncture wound, contact your vet immediately. Some have tried Manuka honey dressings as an additional form of treatment after cleaning the wound with a sterile, safe fluid.